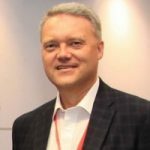 Randy Durband has had two careers in travel and tourism – twenty-plus years in senior leadership positions at some of the finest U.S. tour operators, having served as President for Travcoa, INTRAV, and Clipper Cruise Lines, (brands within TUI Travel plc), plus Executive Vice President of Tauck World Discovery. Following that, in his second travel and tourism career, Randy advanced the work of Sustainable Tourism as an advisor, consultant, and speaker. He brings his knowledge of the business of travel, his global network of travel professionals, and a passion for sustainability to support the GSTC and the general sustainable tourism movement. He has held several board positions and committee memberships in travel and tourism organizations, and is a frequent speaker on sustainable tourism issues. Roi Ariel focuses on responsible and sustainable tourism. Before acting as GSTC General Manager, Roi managed GSTC’s communications and events. He previously worked with UN-ESCAP researching sustainable development and green growth, and on sustainability issues with Pacific Asia Travel Association (PATA). 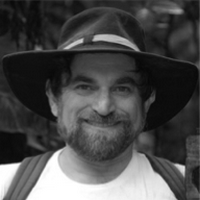 Prior to his move to Asia, Roi worked with Friends of the Middle East in Israel as the Green Economy Initiative Advisor. Roi is currently based in Taiwan, and in his spare time, he learns Chinese Idioms and practices meditation. Roi holds a master degree in Applied Economic and Social Development with a focus on green economy and sustainability, and a bachelor degree in International Relations and Comparative Religion with a focus on Development and Asia from the Hebrew University in Jerusalem. 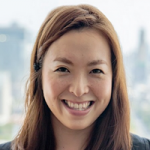 Ayako Ezaki is Co-Founder and Head of Knowledge Management & Communications at TrainingAid, an international tourism and training company offering online training courses and skills development opportunities for tourism industry professionals. Having worked for over eight years in tourism professional training and education in the non-profit sector, Ayako specializes in content building, educational program design, and project planning. She also brings many years of experience in online communications, social media marketing, and web publishing. Through TrainingAid’s partnership with the GSTC, Ayako serves as Training Director to develop, manage and market the GSTC Sustainable Tourism Training Program. In addition, Ayako is part of the global advisory board of Good and Green Guides, serves on the judging panel for Wild Asia’s Responsible Tourism Awards, and is a member of Ecotourism Japan’s organizer team. 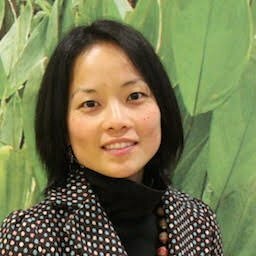 Dr. Mihee Kang is the President of PlayForest, a cooperative of sustainable travel businesses designed to benefit local communities and local activists dedicated to the conservation of their forests and to provide genuine community-based natural tourism experiences to the visitors. 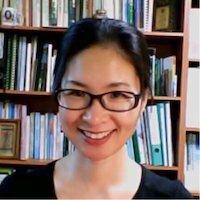 She was a research professor at Seoul National University, researching topics related to protected areas management and sustainable tourism. She received her Ph.D. degree at Seoul National University in 1999. She serves a number of key positions in both domestic and international organizations such as Korean UNESCO MAB Committee, Korean Geopark Committee, Global Sustainable Tourism Council, and Asian Ecotourism Network. She has actively participated in numerous ecotourism projects in Korea and abroad such as Australia, China, Indonesia, Vietnam, Paraguay, etc. She has also published many articles and books including the recent book about ecotourism in ASEAN Countries. Kathleen Pessolano directs Strategic Partnerships for GSTC. Kathleen is an attorney and international practitioner at the intersection of tourism and sustainable development. She assists destinations and companies with partnerships addressing shared development challenges for mutual benefit. 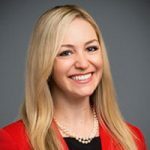 Kathleen especially enjoys working with partners devising strategies to deepen community benefits from tourism, including building capacity and market access for local entrepreneurs and other suppliers. Kathleen previously served as an attorney for the U.S. Federal Trade Commission and the law firm O’Melveny & Myers LLP. Before law school, Kathleen helped the Center for International Private Enterprise advance private sector development in Latin America & the Caribbean. Dr. Ioannis Pappas sits on the GSTC Board of Directors and acts as the Treasurer of GSTC. He is the GSTC Representative in the Mediterranean Region, and a GSTC authorized Trainer. Dr. Pappas is the CEO of Green Evolution SA, an experienced professional engineer, with over 25 years of work in several fields of science, focusing on sustainability and tourism, energy and environmental efficiency in infrastructure and buildings. He is also auditing and advising on standardization of companies and technological implementation of climate adaptation and mitigation methodologies. Dr. Pappas is Co-founder and a Board Member in a number of organizations (Sustainable Building Council of Greece, Hellenic Passive House Institute, Hellenic Start Up Association) as well as Co-founder of the Hellenic Ecotourism Society. 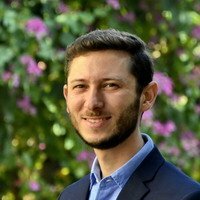 He worked with the Joint Research Center-IE of European Commission and was a Greek representative as the expert for ITL at UNFCCC. Claudia Bustinza is a tourism administrator passionate about cultural heritage issues, particularly on building synergies between tourism and culture to foster local development. Before joining GSTC, Claudia provided consultancy services in Spain, UK, and Peru leading collaborative projects in multicultural environments. Claudia has in-depth experience of the tourism sector specializing in tourism product and destination development, air connectivity, promotion of public and private investment, research, marketing and cultural management. 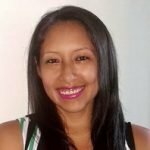 She has worked for national and local authorities such as Plan COPESCO Nacional – Peru’s National Agency in charge of tourism public investment, The Metropolitan Municipality of Lima and The Ministry of Foreign Trade and Tourism of Peru. Claudia holds a Master on Responsible Tourism Management from Leeds Beckett University, and an International Master in Innovative Hospitality Management from the School of Tourism and Hospitality Management Sant Ignasi at Ramon Llull University, Spain. Claudia is currently based in Lima, Peru. David’s experience on sustainability include his work as Sustainability Corporate Director at Karisma Hotels & Resorts in México, Jamaica and Dominican Republic, the development of the SM@RT Manager program, created to integrate Project Management, International Quality Standards (The Leading Hotels of the World – AAA) Innovation and CSR under a Sustainable approach into the daily operation of Hotels & Accommodations, and the development of the Sustainable Tourism Model for the State of Guanajuato, México. David is General Director and Owner of KAI Sustainable Coaching, a company based in México and Dominican Republic, created to assist tourism businesses in Latin America and The Caribbean to integrate Sustainability into their Management Systems and use it as a key element to optimize the use of its resources and its competitiveness on the market. 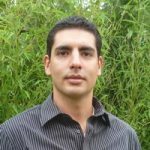 David holds a Master on Leadership & Environmental Management from the UCI Costa Rica and an International Master in Local/Rural Development from the Polytechnic University of Madrid. Emi Kaiwa specializes in tourism and hospitality, sustainable tourism, project management and administration, and is experienced in the regions of Europe, Africa, and Asia. Working in different industries and countries have given Emi a varied skillset and the ability to multitask and handle multiple projects simultaneously. Prior to joining GSTC, Emi worked with the leading sustainability organizations, such as University of Cagliari, South Sardinia, SWITCH-Asia, and Pacific Asia Travel Association (PATA). Emi holds an MBA in Tourism from University in Thailand, with a concentration in sustainable tourism in Asia. She is currently based in Tokyo, Japan. Jackie studied maths and geography at Cambridge University and has been an Associate of The Tourism Company since its inception in 1991. 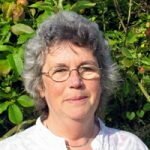 Jackie has a long held and special interest in the interface between people, place and the environment and has specialised in sustainable tourism and tourism in rural and protected areas. She has worked on destination management plans and on product development strategy and evaluation. She has co-authored publications for the World Tourism Organisation (UNWTO), IUCN and the Secretariat for the Convention on Biological Diversity. In 2009, Jackie was awarded with distinction an MSc in Sustainable Development (Environmental Management) with Imperial College, London; she is an Environmental Partner of the Chartered Institute of Water and Environmental Management. Richard is Director of The Tourism Company, a small specialist tourism consultancy based on the UK. 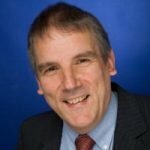 Following a degree in Economics from Cambridge University and a doctorate based on tourism research, Richard worked for ten years as development and marketing director for the tourist board in central England. He has been a consultant since 1990 and has worked in over fifty countries. In 2005 he wrote the policy guide Making Tourism More Sustainable for UNEP and UNWTO, and has continued to work with them and a number of international agencies on sustainability issues, including the preparation of various good practice guides. Richard has worked at a local level with many destinations round the world and has a particular interest in tourism in protected areas. In 2009/10 he undertook the initial work on developing the accreditation process for the predecessor body to the GSTC. Richard is a former Board Director of The International Ecotourism Society and serves on the Advisory Committee of the Travel Foundation. We mourn the loss of a major contributor to the development of GSTC, our friend and colleague Amos Bien.